Since 2009, one name has gained a firm foothold in the fiercely competitive world of local design-build, fit-out and construction. Priority Projects, founded by Director Steve Brownie, offers comprehensive solutions for commercial fit-outs, design-build, earthquake repairs, rebuilds and new construction projects from the ground up. With the combination of being Canterbury owned and operated, and the years of industry technical experience and know-how gained by Steve and his tightly-knit team, you have complete peace of mind. There is no middle man, you deal directly with Steve and the team. 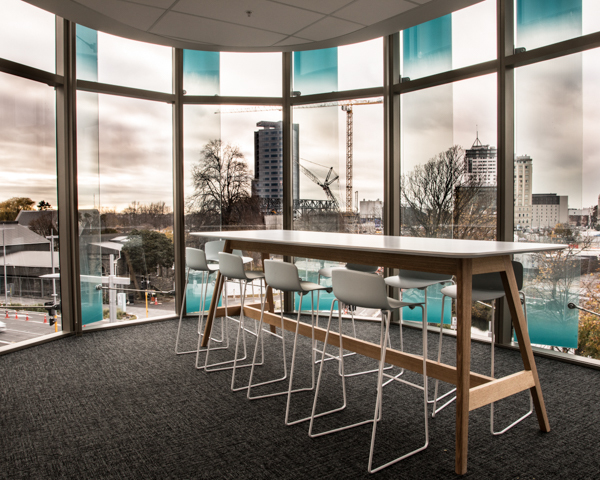 The latest achievements by Priority Projects can be seen at Deloitte House on 151 Cambridge Terrace in the CBD. Five fitouts across three floors, for prominent businesses Fusion5, Learning People, South by South East Architects and Horncastle Group. Every fitout has been completed in the highest possible standard with no shortcuts taken. Steve and his team have worked closely with the building owner, Stephen Collins, from start to finish. Priority Projects has been working as one for nearly a decade, bringing hundreds of building projects to life for countless satisfied Cantabrians. www.priorityprojects.co.nz or to chat with Steve personally, call 027 488 8305.